What are your membership database requirements? This is the first in our 3-part blog series on membership database selection. We created this series in response to our Blog Reader Survey, where readers told us that finding ways to better manage their scarce resources and membership databases was a key issue facing small associations and non-profits. This blog series is designed to help organizations: identify your membership database requirements (Part 1); understand the various options available (Part 2); and determine the best membership database solution that meets your specific needs (Part 3). Data is one of your most critical assets. Protect it and use it well. 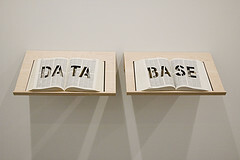 A database serves as your "institutional memory." If someone leaves your organization, the database should allow her successor to pick up where she left off. A good database helps you work smarter, faster, and more effectively. But many small organizations struggle to keep their member, volunteer and contact information up-to-date. This is especially true if you are using spreadsheet software and sharing these files with other staff or volunteers, which can lead to multiple, duplicate and/or outdated records. If you face these challenges, it may be time for your organization to take a good hard look at your current software. As we noted in an earlier post, Have You Outgrown Your Membership Database, moving to a single, centralized database management system can ensure: data integrity; ease of use as well as the ability to produce reports and use the data for other purposes, such as renewals, email and social media outreach. With the right database, your organization can be more effective, spending valuable staff and/or volunteer time on activities that further your mission, and less time on administrative clean-up. Before you can go shopping for new membership database software, you need to figure out your specific needs. In this post, we're going to outline some of the steps you might want to take to identify your requirements so you can be sure that you find a solution that will fit all of your current and future needs. It might help to create a "selection team" or committee that can work together to identify your organization's needs. This selection team should include those who will be using the software - staff and volunteers. Having all users involved should ensure that you identify not only all of the key requirements, but also set realistic expectations of both the software choice and the skills of those who will be using it. As Robert Weiner suggests in an Idealware article, Ten Common Mistakes In Selecting a Donor Database, "complex software requires your staff to have more computer skills, not less. Under-trained staff, poor communication, dysfunctional business processes, and poor management will not be solved by new software." Who will use this database (e.g., one staffer; numerous administrators; board members; volunteers)? How many total records will you need to store? What information you need to capture? Once you've drafted your requirements, you need to rank or prioritize these and determine which are "Essential" or "Nice-to have". By clearly identifying and ranking your needs and by taking a team approach, you should avoid one of the pitfalls that often occurs - making a quick selection based solely on one individual's personal preference or vendor pitches rather than on your organization's specific needs. If you are planning to create an RFP (request for proposal), remember that you need to clearly define your objectives as well as your technical requirements. While we can't go into detail on RFP preparation in this blog post, Wild Apricot will be producing a Membership Database Selection Guide in the near future that will offer additional information and tools. If you'd like to review an Association's RFP for an Association Management System, check out the sample we've included below in the "Read More" section. Once you've identified your organization's needs, you can start to look at the possible options that may work for you. Your specific requirements will determine the type of software or system you should look at. For some organizations, this may mean considering a full Association Management System "that offers database features to run operations, such as member services, event management, communications, product databases and fundraising" such as Wild Apricot. Other groups whose focus is solely on fundraising and donor database management might look at commercial off-the-shelf options. Stay tuned for Part 2 of our blog series that will review the various membership database options or choices. Remember, the time you spend identifying your needs and analyzing your options will be well worthwhile. As Wes Trochlil of EDM suggests in his article, Your Database as Member Relations Tool, in this economy, "you really have to start leveraging your database and the data you have. ...If you use your data wisely, you’ll be able to communicate with [members] in a manner that resonates, and you’ll enhance the bond between them and your organization. Your database and your data can help you do this. Membership Database Selection Part 2 - Understanding Your Choices. In addition, Wild Apricot also offers a Membership Database Selection Guide - that is available in our Membership Knowledge Hub.